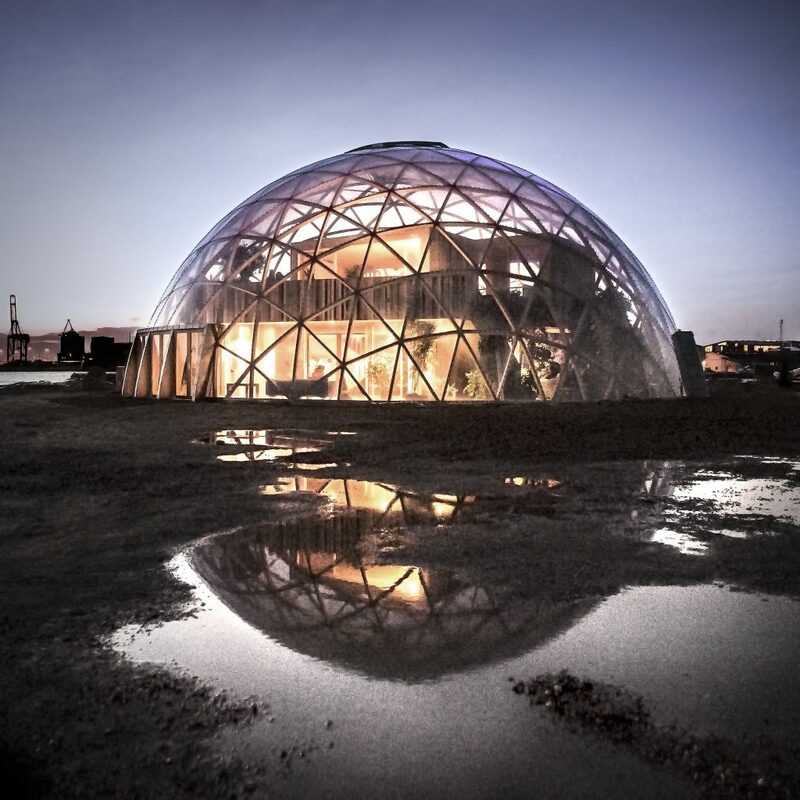 Dome of Visions began in 2012 when Martin Manthorpe / NCC Construction Denmark and Flemming Wisler / NXT visited the Peoples Meeting Dome on Bornholm at the Danish Folkemøde and met the architects behind it – Kristoffer Tejlgaard and Benny Jepsen. The temporary meeting dome, its construction, materials and function inspired the founders. In co-creation with the architechts, the curator Gry Worre Hallberg / SENSUOUS, small visionary citydevelopers and artists they created the first Dome of Visions. 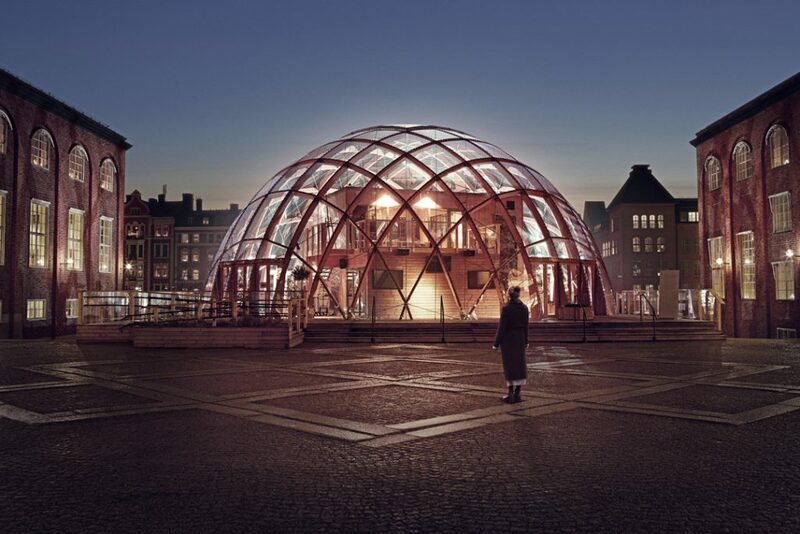 The first Dome of Visions was build by NCC Construction Denmark in 2012/2013 at Krøyers Plads in Copenhagen. Mooved to Aarhus Pier summer 2013. It was situated at Søren Kierkegaards Plads in Copenhagen 2014-2016. Architects: Benny Jepsen and Kristoffer Tejlgaard. Partners in Copenhagen: NCC, The Royal Danish Library, Copenhagen Municipality & Sharing Copenhagen, Danish Architecture Centre. Partners in Aarhus: NCC, Aarhus Municipality. Visit the site of the danish Dome of Visions. Photo by Jonathan Grevsen / Dome of Visions. 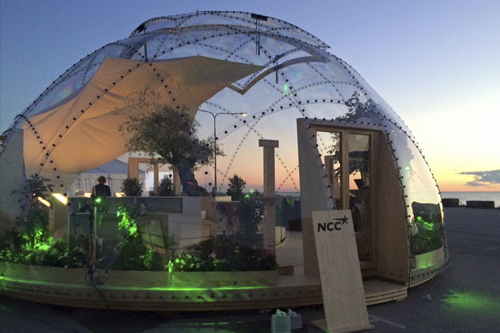 The second Dome of Visions was build by NCC AB in summer 2015 at KTH, Royal Institute of Technology, Stockholm. It was situated there until October 2017. From 2018 it is situated at Lindholmsplatsen, Göteborg. Architect inner house: architecture student Stefania Dinea, KTH winner of the Inspired by Space competition. Partners Stockholm: NCC & KTH. IVL Svenska Miljöinstitutet, Stockholms stad, Uniarts, Open Lab. Partners in Gothenburg: Chalmers, Volvokoncernen, Lindholmen Science Park. Visit the site of the swedish Dome of Visions. Photo by Erik Mårtensson / NCC. A mini Dome of Visions was situated in Visby, Sweden for the Almedalsvecka July 2015, 2016 and 2018. Helsinki summer 2017. 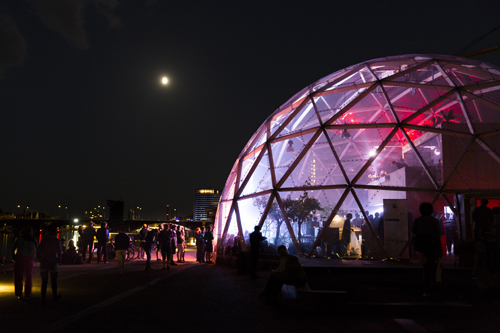 The third Dome of Visions was build by NCC during summer 2016 at Pier 2 in Aarhus, Denmark and hosted the Dome of Visions until October 2018. Photo by Helle Arensbak / Dome of Visions.